Heat ingredients and drizzle over fruit. Bake, uncovered, at 300° for 1	hour. Serves 10 to 12. Peaches can also be used. 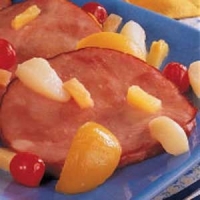 Especially good as a side dish for ham or turkey. 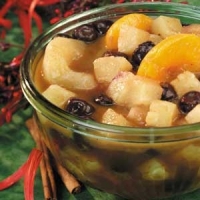 Recipe categories: Pineapple, Side dish, Tropical fruits. No comments - be the first!